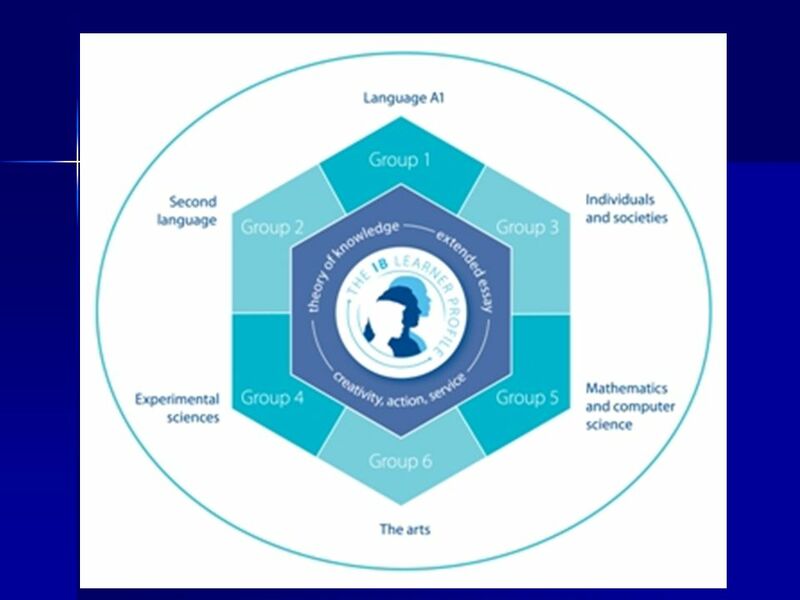 The IB Hexagon. 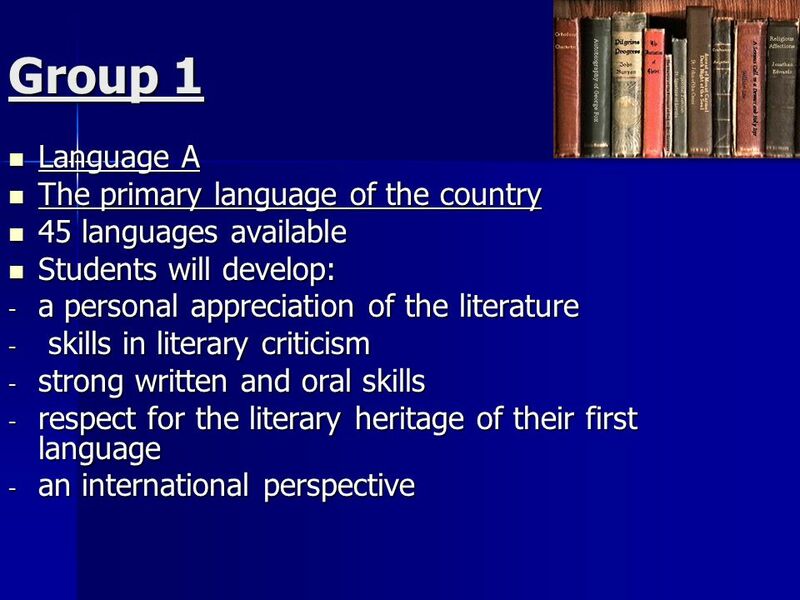 Group 1 Language A Language A The primary language of the country The primary language of the country 45 languages available 45 languages. 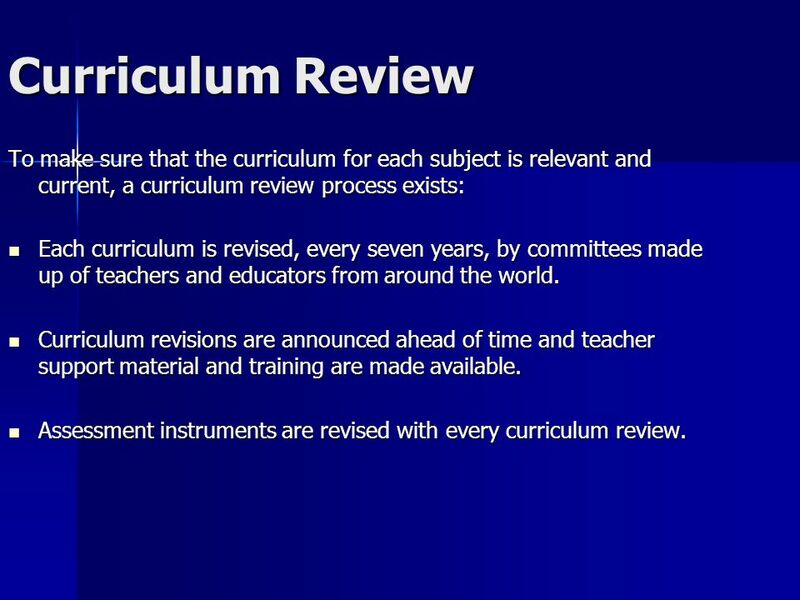 14 Curriculum Review To make sure that the curriculum for each subject is relevant and current, a curriculum review process exists: Each curriculum is revised, every seven years, by committees made up of teachers and educators from around the world. 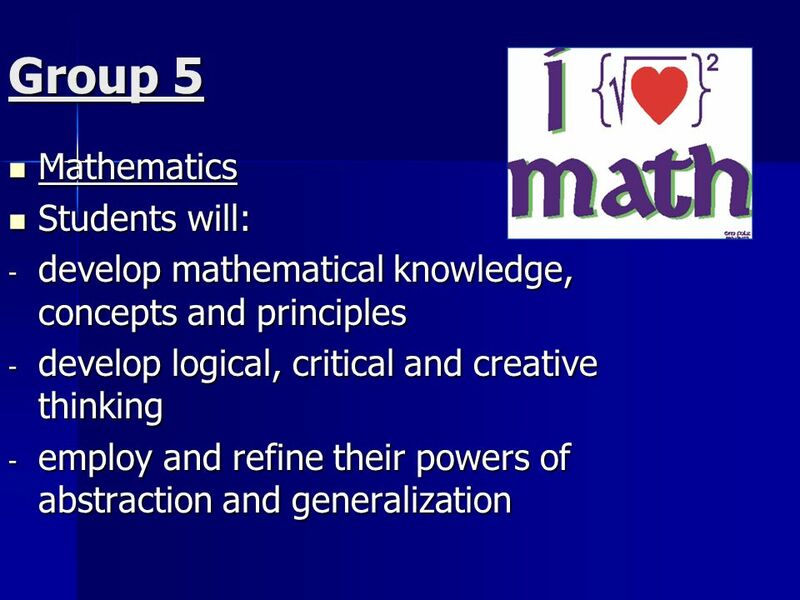 Each curriculum is revised, every seven years, by committees made up of teachers and educators from around the world. Curriculum revisions are announced ahead of time and teacher support material and training are made available. Curriculum revisions are announced ahead of time and teacher support material and training are made available. Assessment instruments are revised with every curriculum review. Assessment instruments are revised with every curriculum review. 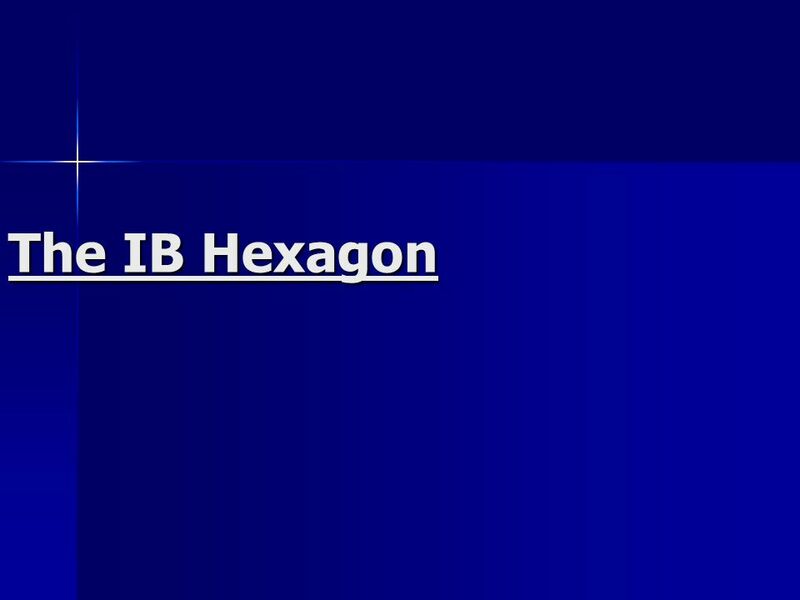 Download ppt "The IB Hexagon. 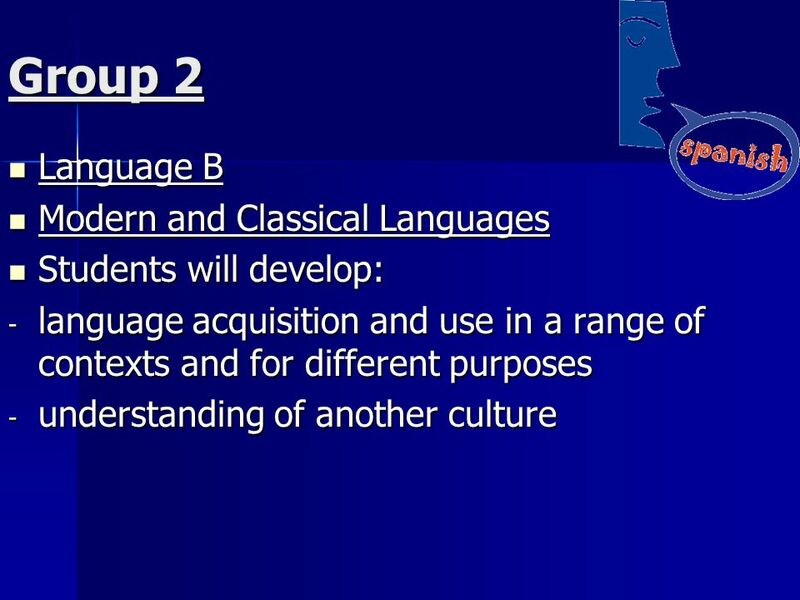 Group 1 Language A Language A The primary language of the country The primary language of the country 45 languages available 45 languages." The International Baccalaureate Sixth Form College Colchester. 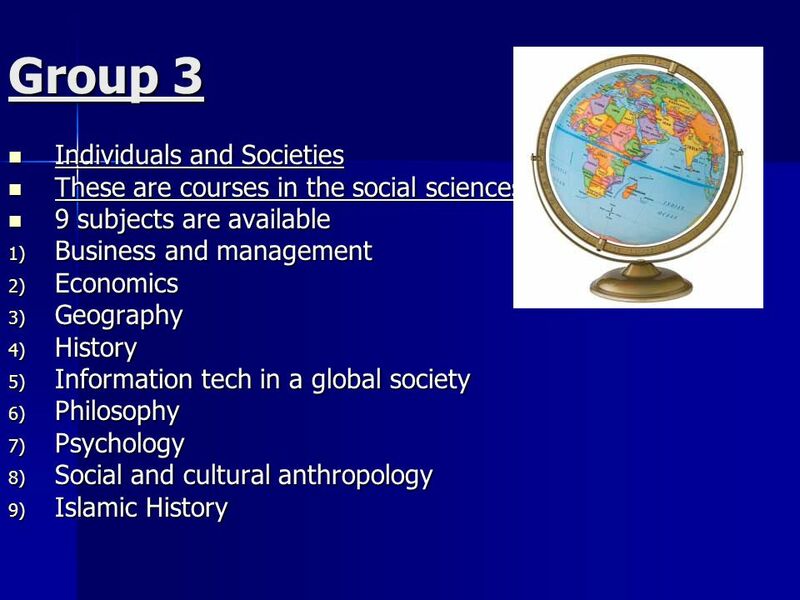 IB Diploma Programme Overview For school year. 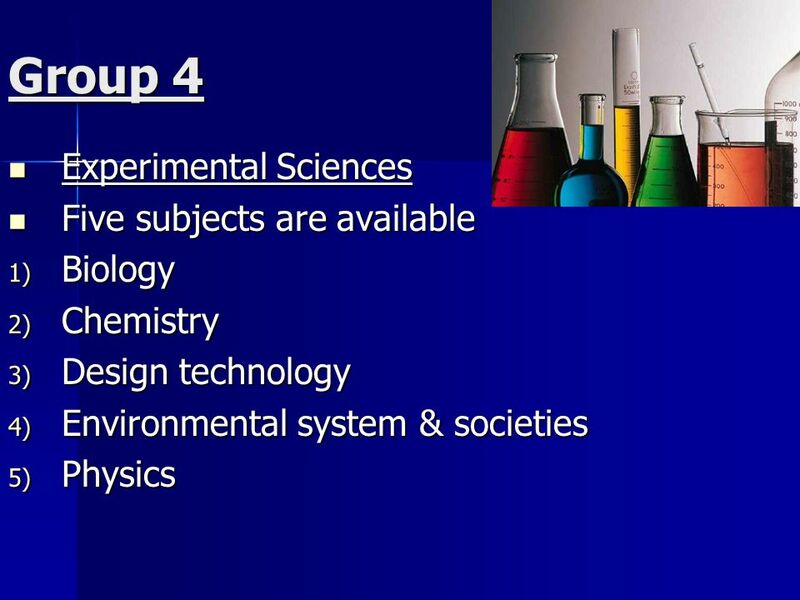 IB Diploma Programme Overview For School year MAY 2014 session. 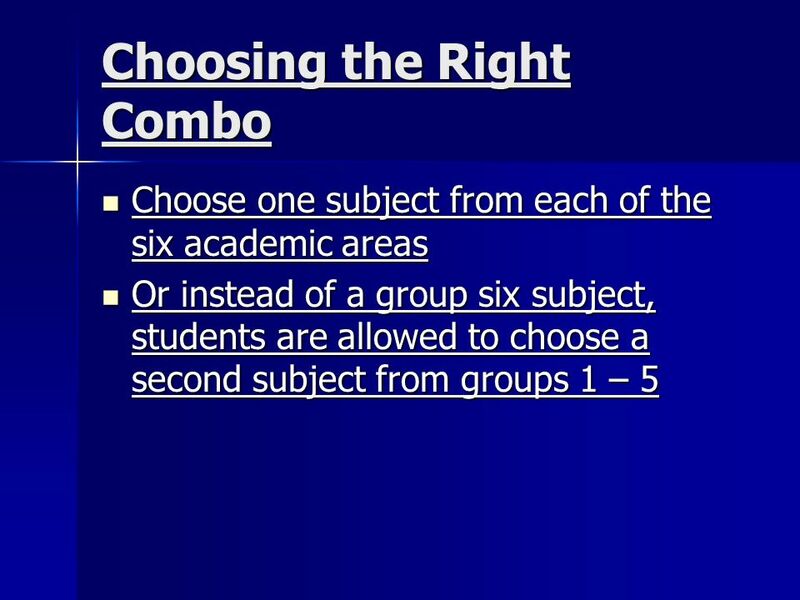 To Earn an IB Diploma Complete Extended Essay, TOK, CAS Take six courses, and complete all IB Assessments Grading scale 1-7, and is a combination of marks. The IB at Cairo English School © IBO The IBO’s goal: to provide students with the values and opportunities that will enable them to develop sound. Diploma Programme © IBO IBO Mission Statement The International Baccalaureate Organization aims to develop inquiring, knowledgeable and caring young. The International Baccalaureate Diploma Programme Rockville High School. Senior School Curriculum What you need to know……. 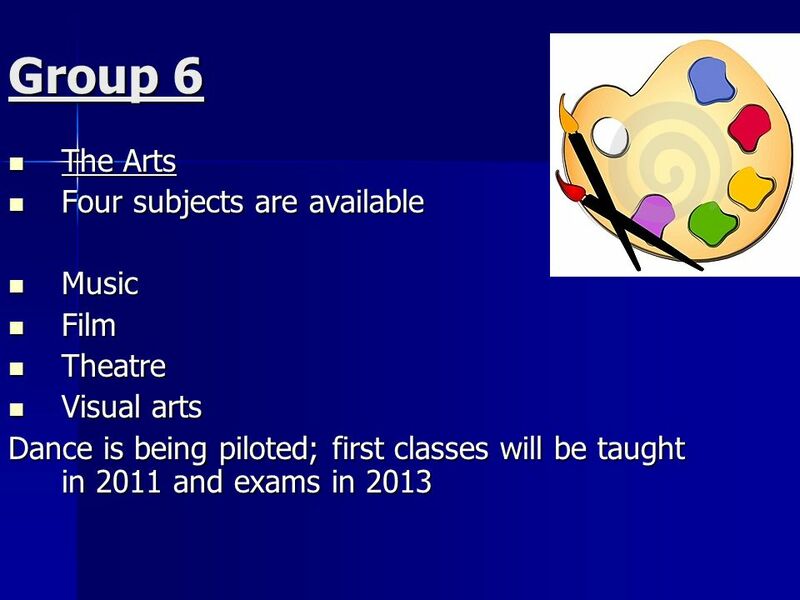 1.The different curriculum pathways available in the Senior School. 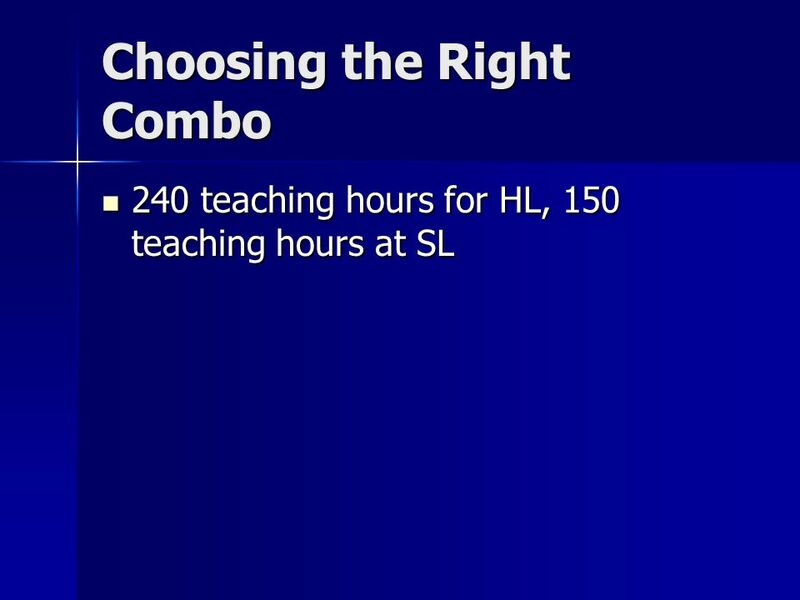 2.How your learning style. 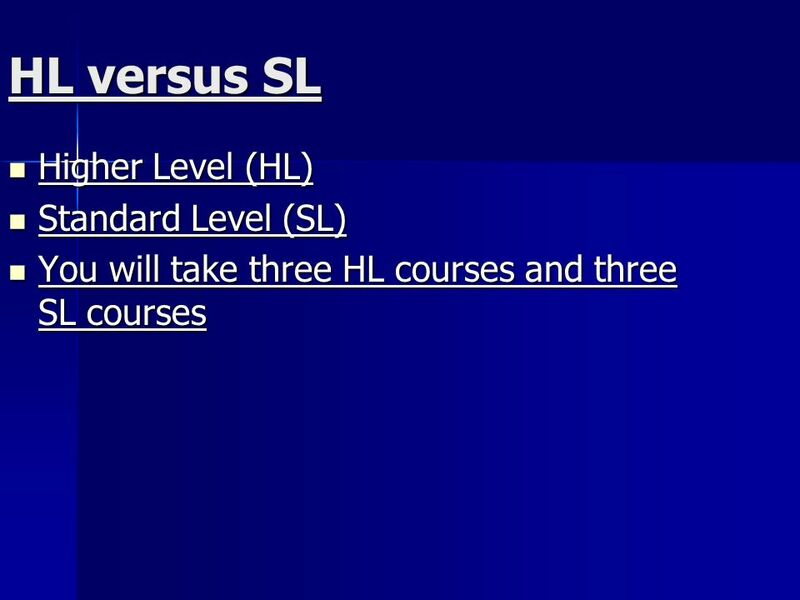 Thursday 25th April 2013 ‘A’ Levels or IB? The arguments.